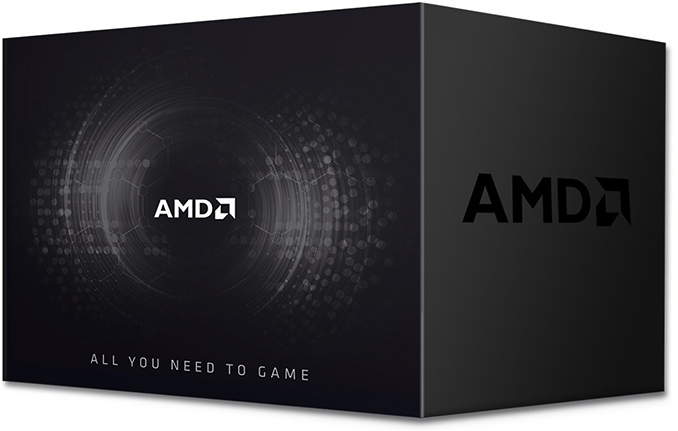 AMD on Wednesday announced its Combat Crate bundles, an initiative aimed to deliver a complete set of barebones PC hardware straight to the hands of gamers. The bundles will initially be available in North America and will enable DIY enthusiasts to get essential gaming PC components at a predictable price. 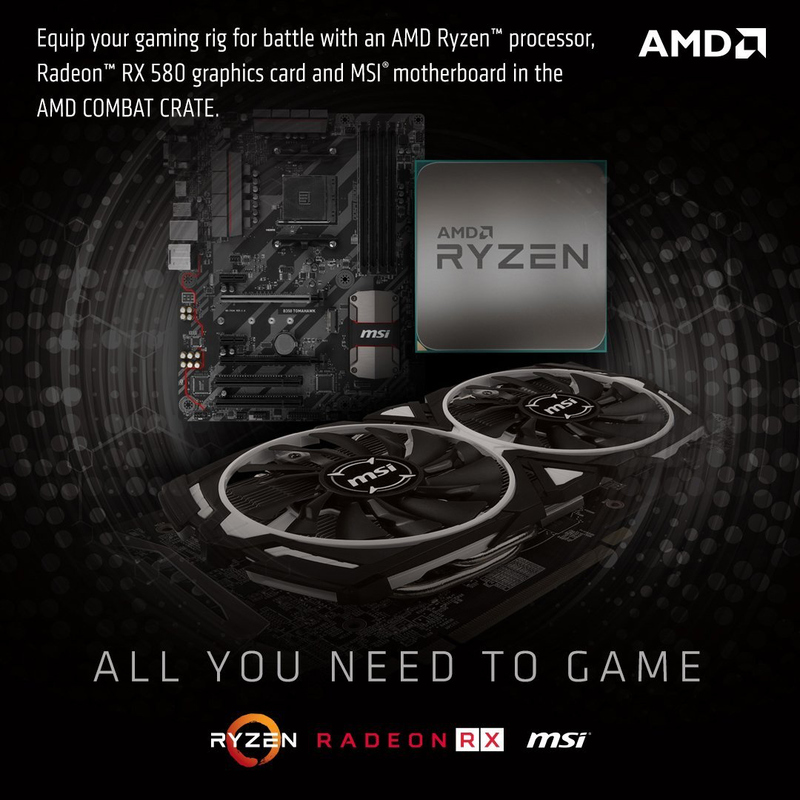 AMD’s Combat Crates include the company’s six-core Ryzen 5 1600 or eight-core Ryzen 7 1700 processor, an MSI B350 Tomahawk motherboard, as well as MSI’s Gaming Radeon RX 580 Armor graphics card with 8 GB of GDDR5 memory. The more affordable bundle featuring the six-core CPU will retail for $549, whereas the Combat Crate with the eight-core Ryzen will be more expensive. Meanwhile, if you take a closer look at pricing of the Ryzen 5 1600-based Combat Crate bundle, it will become evident that the bundles were assembled not to provide significant discounts, but rather to offer stable pricing on select components. If the value of the CPU and the motherboard are deducted from the said Combat Crate bundle, the Radeon RX 580 with 8 GB of memory will be priced at $288, which is $39 lower than its retail price was at press time, yet $59 higher than its MSRP. It is not a secret that getting a video card at its MSRP is challenging these days because of demand from miners. In the recent couple of quarters, we saw some retailers refusing to sell more than one graphics adapter to one household in a bid to exclude miners from their customers, but demand for video cards is still exceeding supply. There are multiple reasons for that: particularly that GDDR5 and HBM2 memory remain in short supply, limiting the total number of video cards that can be produced. Meanwhile parties who need hundreds or thousands of graphics adapters can buy them from distributors or directly from manufacturers. By launching its Combat Crates, AMD is killing three birds with one stone: it sells off its remaining supply of first-generation Ryzen processors, it helps its partner MSI to sell its B350-based motherboards, and it enables gamers to get a graphics card at a price that is not going to skyrocket overnight because of an increased demand. Normally, bundling one-year old CPUs with two-year old GPUs would make sense for retailers and distributors (AMD’s Polaris 10 GPU was launched in June 2016, whereas the first-gen Ryzen was released in March 2017), but at this time AMD decided to do the bundling itself. Now they just need to randomize the CPU, GPU, and MoBo and people would totally be buying into IRL lootboxes /s.